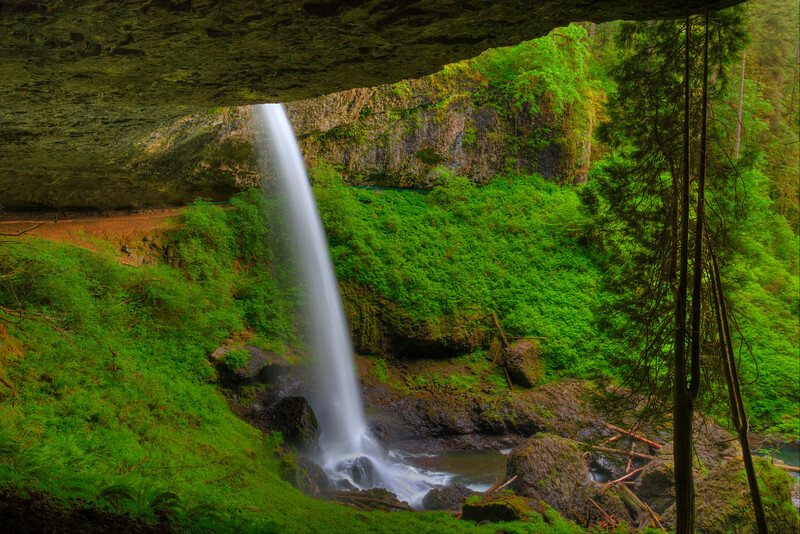 The North Falls plunges down 136 ft into this canyon at Silver Falls State Park. Wonderful shot! I love the colors and the long exposure on the water.